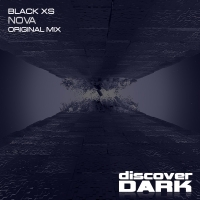 Discover Dark delivers another cool find with Black XS and this tough little excursion Nova. Everyone loves a good hoover sound and Nova sets its stall out very early on that front. The ever detuning mayhem marches relentlessly to the break where the track opens up into the vox which builds with intensity before dropping back into the sonic mayhem that is Nova!! 'Nova' is available now from Beatport and iTunes.